Learn Meditation -the Feminine Way... women only. Money back. 1st & 3rd Thursday of each month. The art of Meditation frees us from the binding noise of the mental plane, our mind, and allows us to awaken to deeper levels of Unitive consciousness within us… the source of all life. Meditation accesses this field of Unitive Consciousness which in actuality is us; it is our Essential Self, our Soul, our Light. However, in our Conscious Feminine Meditation we not only experience this Unitive field of Oneness Consciousness... but allow to feel it in our bodies... let old emotional paradigms dissolve in it… and heal our BODY ~HEART~ MIND. Because in the Feminine approach we don’t approach meditation in the masculine tradition of entering into a detached, objective, space of peace where we by pass the subtle fields that we live in… nor our body, but rather we experience this ultimate Unitive field of Oneness Consciousness as it moves within us… as the creative… expressive… passionate embodiment that our collective conditioning and limiting egoic separateness can dissolve in. 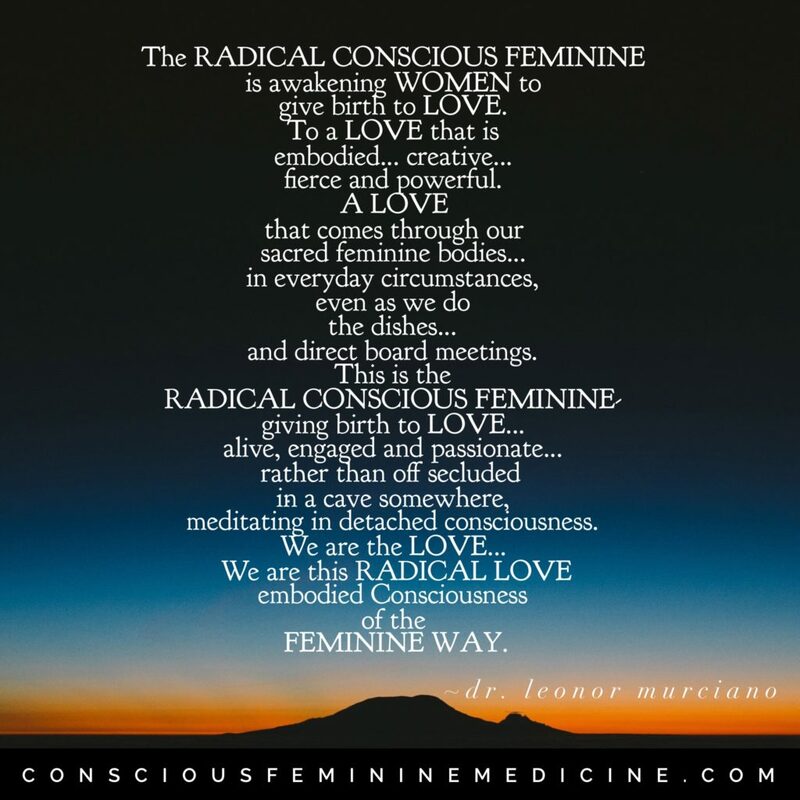 This is the feminine way... merging the higher states of consciousness with our earthy, passionate, sensual body… a true union of heaven and earth. If you are ready to meet yourself in this place… let everything else that isn’t YOU dissolve, and discover your true Essence of peace, love, joy, and ecstatic bliss then I invite you to join our LIVE ONLINE Conscious Feminine Meditation Circle. You have nothing to lose. Try it for a month, money back guarantee! **Warning: The incredible JOY that is felt might be ADDICTIVE… please be warned !! Meditation has been proven to shift the bio-chemistry in your body, lower stress, increase health and well-being and even create fulfillment within yourself. (2) 90 min Conscious Feminine Meditations a month, via LIVE ZOOM. 1st & 3rd Thursday of every month. 8:00pm eastern time. Each session will be recorded and accessible on the Members Page. Each participants will receive PDF’s of the particular meditations we may be engaging. Participants that are present may have the opportunity to share in live sessions, time permitting. Cost is $33.00. Money back guarantee for first month only. After your trial membership, you will be billed monthly $33.00 until you decide to cancel. Cancel at any time.